It is entirely possible that a person’s DNA test results show that the person has some Native American ancestry. That information is not equivalent to having tribal citizenship. Senator Elizabeth Warren (Democrat – Massachusetts) released information about her heritage. Part of the information involves the results of a DNA analysis that she submitted to Dr. Carlos Bustamante, a professor of Biomedical Data Science, Genetics, and Biology at Stanford University. * In addition, Elizabeth’s DNA was compared to two non-Native reference sets from the 1000 Genomes Project – 99 Americans of predominantly European ancestry from Utah and 86 British individuals of European ancestry from Great Britain. 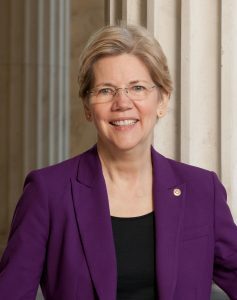 In short, Senator Elizabeth Warren does have Native American ancestry. But, she is not enrolled in a tribe – so she does not have tribal citizenship. Her family was never enrolled in a tribe. Tribal citizenship requires a person to complete their genealogical research, document their ancestry, and determine which tribe their ancestor was affiliated. The person can then apply for enrollment with that specific tribe.